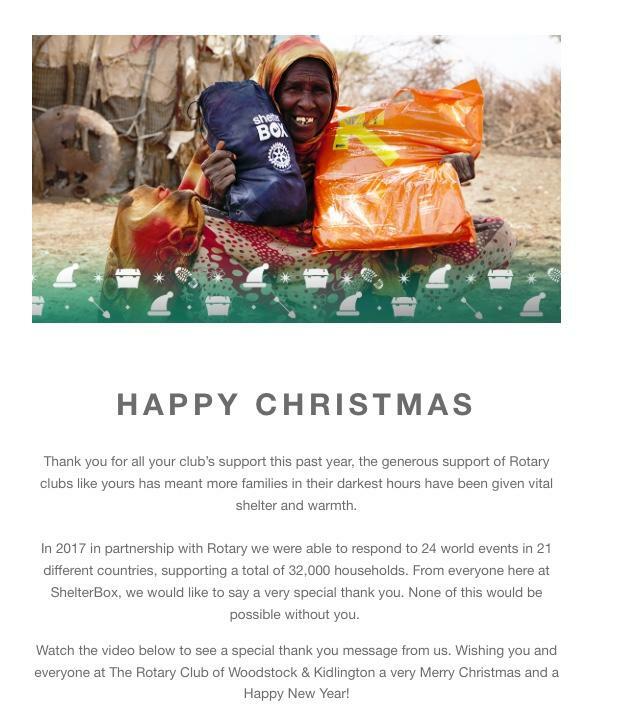 Thank you for all your club’s support this past year, the generous support of Rotary clubs like yours has meant more families in their darkest hours have been given vital shelter and warmth. In 2017 in partnership with Rotary we were able to respond to 24 world events in 21 different countries, supporting a total of 32,000 households. From everyone here at ShelterBox, we would like to say a very special thank you. None of this would be possible without you.